Recently I had a chance to perform at the Legendary Pizza Express Jazz Club in Soho, London as a surprise guest musician of Jazz Guitarist Steve Oliver. Steve and I met many years ago while both performing on a Jazz Cruise. We stayed in touch and he graciously performed on two cuts on the “In Transit” CD in 2012: Latismo and Moonlight Cay. When I found he was coming to London for a set of shows I contacted him letting him know that I was going to come to the show and he offered to let me play. It was a classic Jazz Jam situation for me as he never sent any songs to me. I just showed up with my horn and he called me on stage. I had no idea what we were going to play! It turned out that it was one of his newest songs which has not even been released on CD yet. And yes we slammed it to the great appreciation of the crowd at Pizza Express! We ended up doing a couple of more songs for the finale, Steve Oliver’s “Global Kiss”, and then for the encore Prince’s “Kiss”! It was a night to remember. Performing with major acts is not new to me. In the recent past I have performed with Chieli Minucci in the Netherlands for a short tour. I performed with the Rippingtons on a Jazz cruise and many years ago, with some R&B acts: Phil Perry, Howard Hewitt, and Glynn Jones. As an artist I bring dedication and professionalism to my contribution to your show and I never disappoint. Yes the UK is now my home for a time. While I have been here I have been slowly moving into the scene and performing. One of the Jams I frequent is in Ascot, near the famous raceway known as Jagzs. The Jam is on the last Thursday of every month and features a remarkable collection of musicians and vocalists coming together to create. Another project I am moving into is performing with a band called Groove Republic. This is a really fun gig for me where I get to play some horn lines and solo and groove on some of the funkiest old school and new school R&B and pop Hits. This band gets you dancing and keeps you there. High energy, great vocals, and massively funky musicians. I love it! So hopefully you will be able to catch me soon somewhere between Reading and Central London in the future! 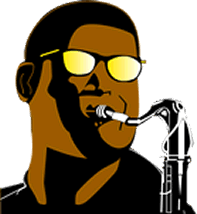 If you are a musician or a promoter looking for some saxophone to fill out your band for an occasion or for some studio performances, I still have some availability. Give me a ring and we’ll work it out! I was sitting here thinking I wanted to celebrate my birthday this year listening to some good jazz. Then I thought where is Erly and is he playing anywhere close. I had not heard from him since I saw him at a stepping event. Wow, you are far away. I’m so happy for you. London has gain a good musician.